Senate Bill 43 died quietly last week. If an important newspaper ran a news story about its demise, it didn’t come to my attention. The bill was known by those familiar with it as “the disclosure bill.” What it says in essence is that if you want to participate in political campaigns with advertisements for or against a candidate, you must tell everyone where you got the money to pay for these advertisements. The state Senate passed it with a substantial bi-partisan majority. It didn’t survive a trip to the Assembly. It died in the Speaker’s office. A lot of important political players showed up for the funeral. Some came to mourn the passing and others came to make sure it was really dead. 1. The Supreme Court, which urged disclosure as the real and really constitutional reform when it issued the decision on the Citizens United case which allowed corporations and unions to do the kind of campaign advertising heretofore prohibited. 2. The GOP stalwarts who have always been leery of spending limits, public funding, and other regulatory palliatives and whose war cry was, is, and always will be Disclosure is the Answer. The death of disclosure means they lose the chance to prove their assertion that this is the ideal and only required campaign reform. 3. Candidates who come under attack from single-issue (usually) zealots with money who have become eminent to dominant participants in political campaigns recently. 4. The press, which supports political openness on its own behalf and, with the notable exception of many editorial-page editors, pretty much ignored this companion political openness effort which would have shown who the participants in campaigns really are. 5. Fairness advocates, who pointed out that candidates must reveal where they get the money they spend to promote their candidacies, but their non-candidate enemies and opponents are under no such obligation. 1. Free-market fanatics, including our current governor, who kind of like the high-spending, raucous, media-driven, corruption inducing system. 2. Free-speech protectors who consider anonymity a necessary part of that guarantee. They do not think free speech is really free unless it can be done without attribution, so it is free from backlash by those who are offended by it. 3. Organizations whose members’ commercial interests are protected from the consequences of their spending on their political interests. 4. Anyone who wants to put their money where their mouth isn’t. Strange bedfellows of all kinds. Right-To-Life organizations must have a lot of them judging from their vehemence about keeping the identity of their funders secret. 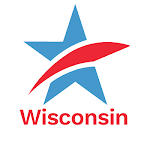 Collateral partisan groups like Club for Growth and The Greater Wisconsin Committee also fall into this category. 5. Candidates who expect to be rewarded for letting the foregoing beneficiaries of non-disclosure maintain their anonymity in the expectation that those who they protect from this unwanted publicity will lavish praise and money on them. Dying by the numbersTweet this!